Start here for travel inspiration, hotel reviews, recommended activities, transportation tips and more. Includes features for Travels with Baby + our sister site Family Travel 411, and articles of interest that Shelly’s written for other outlets. 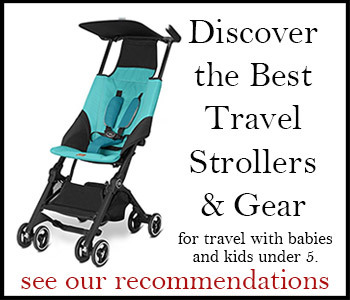 For general baby travel gear advice (what to buy or bring, logistics) see FAQ and Popular Topics and also Great Products & Gear. For more travel planning help see Guidebooks and Travel Planning.